The refund rate of French excise duty has been stable for the last 2 years: it was possible to recover around € 48 / m³ of diesel for each half-year of 2014 and 2015. 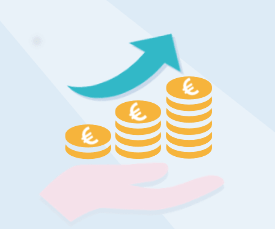 The refund rate for the 1st half-year 2016 benefits from a significant increase : € 78.60 / m³ can be reclaimed ! Claims for the 1st half-year 2016 can start to be submitted to the Customs in July 2016. Meanwhile, you can still get TICPE refunds on your fuel purchases of 2014 and 2015. We can help you to reclaim French fuel tax. Contact us!